Endagala is a unique place which I came across for the first time while going through a book called “Stone in Eloquence” and since then it was roaming around my dreams. 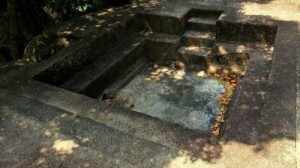 One day while traveling to Padiyathalawa I noted a board saying Endagala put up by Uva tourist board and that was enough to stimulate me to go in search of it. I have only seen few pictures of a pond but I was sure that there were much more to expect.